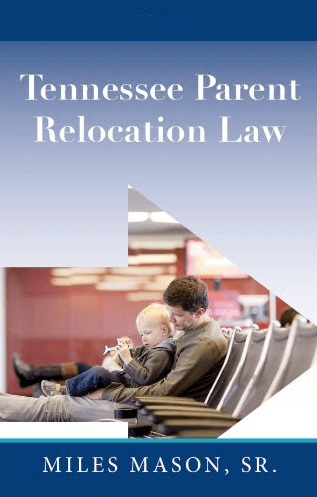 Parent relocation statute in Tennessee law: parental relocation denied Tennessee, child custody laws relocation, move away statute, custodial parent moving out of state, non custodial parent moving out of state, child relocation, and post divorce relocation. Do to a new law passed in 2018, Tennessee’s parent relocation statute and law changed dramatically for all new parent relocation matters filed after July 1, 2018. This means that much of the prior case law discussing move away cases, especially involving parents who did not share roughly equal parenting time, is no longer valid or relevant. However, the author believes that many of the prior cases discussing relocation action disputes involving parents who do share roughly equal parenting time and important aspects of the statute which have not been changed by the new law, can still be relied upon for important legal arguments. Parent relocation law will continue to evolve over time. It may take years to understand the impact of this change on Tennesseans. Plus, expect the Supreme Court of Tennessee to add interpretation to this new development. Click here to read to read the new law passed in 2018. Click here to read the full parent relocation statute as amended. For all parent relocation cases filed after July 1, 2018, a new Tennessee law requires a “best interest of the child” judicial analysis. Parents will offer up evidence to support their position on each of the relocation factors set forth in recently amended T.C.A. § 36-6-108. The court has continuing jurisdiction over custody orders which means any request to modify the permanent parenting plan is no small deal, substantively or procedurally. Don’t skip ahead of the legal aspects and parental responsibilities of moving away. Before finalizing elaborate plans to relocate, and certainly before loading the moving van, parents on both sides of the relocation issue should know there are rules, a notice requirement, and court proceedings involved. What follows will help when navigating an out-of-town move under Tennessee’s new parental relocation statute. Relocation was motivated by vindictiveness aimed at the non-custodial parent. Applying caselaw with somewhat inconsistent results, trial judges were charged with determining whether the parent’s move was in the child’s best interests, if specific facts warranted a change of custody, whether evidence of parental alienation was vindictive, or if some reasonable purpose would be served by relocation, and so on. As discussed below, a noteworthy 2017 court decision was closely followed by Public Chapter No. 853 (H.B. 1666) which was signed into law by Governor Haslam on May 3, 2018. As amended by P.C. 853, T.C.A. § 36-6-108 went into effect July 1, 2018. Make note of the date! A substantive departure from prior law, P.C. 853 changed the parental relocation landscape of Tennessee’s general custody law. Today the main focus is on the child’s best interests. Not a single inquiry into the parent’s purpose for moving is mentioned. Gone. Looking at the old statute’s inquiry into the parent’s “reasonable purpose” for relocation, one Tennessee Supreme Court decision may have been the proverbial ‘last straw’ nudging the Tennessee Assembly into action. In Aragon v. Aragon, M2014-02292-SC-R11-CV (Tenn. 2017), the Supreme Court held that “reasonable purpose” should mean “significant purpose, substantial when weighed against the gravity of the loss of the other parent’s ability to participate fully … in a more meaningful way” in the child’s life. The dissent argued that “reasonable” in the statute connotes ordinary, nothing more, a definition that could allow parents more freedom to relocate with their children. That was 2017. In 2018, the Assembly took the reasonable parent’s purpose issue off the table for good. Current relocation law now requires a multi-factor analysis to answer the ultimate question: Is the proposed relocation in the best interest of the child? Although a parent’s purpose is not wholly irrelevant, there is no inquiry into the balance of parenting time between former spouses under their permanent parenting plan. In other words, the old bifurcation based upon ‘equal v. unequal’ parenting time has gone by the wayside. Instead are specific factors intended show how relocation is (or is not) best for the child. Should the court find relocation to be in the child’s best interests, the parenting plan will be modified “as needed to account for the distance between the non-relocation parent and the relocation parent.” T.C.A. § 36-6-108(c)(3). Here’s the rub. If relocation is not determined to be best for the child (the petition is denied) and the relocating parent chooses to leave anyway, without the child, then the court will enter a modified permanent parenting plan. Be prepared. Can you take a child out of the state without the father’s permission? How does a parent object to relocation? Any parent planning to relocate with the child – either outside Tennessee or more than 50 miles away from the other parent if within the state – must give notice to the non-relocating parent according to T.C.A. § 36-6-108(a). Parents are encouraged to mediate a new visitation schedule. However, if a revised schedule is not forthcoming and the non-relocating parent files an objection, then proceedings to modify the permanent parenting plan will commence. What happens next? For more information on court proceedings and parental rights and responsibilities, read the discussion about the Parent Relocation Statute in Tennessee. Relocating may not be on either parent’s radar right after the divorce or when initial custody orders are entered. But changed circumstances and raising children go hand-in-hand, especially with divorce or legal separation. Parents make serious decisions about moving for a number of reasons: Job opportunities, housing availability, remarriage, university transfers, military reassignments, nearness to family members, and health reasons, among others. Before asking the court to modify an already hard-earned custody arrangement that is working, important questions should be answered. Is moving away from everything familiar truly in the child’s best interests? How will the move impact the ARP’s parenting time and relationship with the child? What objections are likely to be raised by the other parent in opposing the move? If at all possible, consult an experienced attorney about thoughts of relocation well in advance of making binding commitments, such as signing a lease or resigning from a job to accept out-of-state employment. Tennessee parent relocation law with its controlling state statute is triggered only when certain changed circumstances occur. These circumstances often present difficulties for parents, their lawyers, and the judges who hear these cases. In fact, many judges consider parent relocation cases to be among the most difficult to adjudicate. Can You Move a Child Out of State with Joint Custody? “Joint custody” is not a term currently defined in Tennessee family law. In many common use situations, people refer to “joint custody” as meaning parents with equal parenting time. That being said, the same law applies regardless of parenting time. One would assume, but cannot be certain, that under the new law, relocating with equal parenting time will be challenging – just as it was under the old law. Although, utilizing the best interests factors listed under the new law should have similar interpretation to that under the old law. What is a Move Away Order? A move away order is not an official legal term. It could mean a new parenting plan agreed upon by the parties and approved by the court with all new parenting plan provisions reflecting the realities of the move. Or, a “move away order” could mean a court order specifically allowing the relocating parent to move with or without the children. In the second circumstance, once there is a move, in all likelihood, a new permanent parenting plan will be necessary. Relocation will not be an issue for every family. Some divorced parents need never concern themselves with relocation modifications to child custody orders. Others will find themselves back in court over parent relocation issues, perhaps more than once. Many parents misunderstand how Tennessee parent relocation law applies to them, whether they are Primary Residential Parents or Alternate Residential Parents trying to maintain a parenting time schedule (sometimes referred to as visitation). Indeed, this area of child custody law is very complex with plenty of potential pitfalls for the unwary. To make matters even more challenging, the outcome of parent relocation cases is not entirely consistent. Generally, the court’s decision in a child move-away case is much less predictable than, for example, the child support modification case where parental income has substantially changed. Relocating and modifying an existing parenting plan and child custody arrangement after divorce means learning the important requirements, step-by-step, before moving away. What does the parenting plan say about relocation? For most parents, navigating relocation issues and planning a reasonable legal strategy to modify the parenting plan or to object to relocation is difficult. 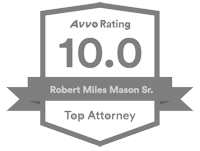 We strongly recommend that both parents obtain independent legal advice from an experienced Tennessee family lawyer. 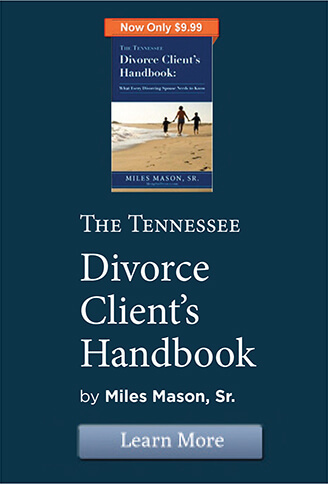 In 2013, Miles Mason, Sr. authored the Tennessee Parent Relocation Law. In 2018, when the new law went into effect, sales were doscontinued. For additional information and updates on parent relocation law, also look to our Tennessee Family Law Blog and its parent relocation cases in general. Examples of strategies that worked for other parents (even if under the old law) can be helpful. Take a few minutes to review case summaries where Tennessee courts either granted a parent’s relocation or denied a parent’s relocation. Yes, the court can do that. After a divorce or child custody case, after custody orders are entered, there is typically a period of adjustment for parents and children. A period when everyone settles into a scheduled routine under the court-ordered permanent parenting plan. For some, adjusting to the co-parenting model of child rearing involves moving somewhere new. For others, a move is necessary because of remarriage, more children, or blended families. Realistically, there is nothing extraordinary about either parent’s desire to move to a new home – maybe a nicer neighborhood or a more spacious house – at any time after the divorce is over. Life goes on. But when the distance is beyond merely moving from Collierville to Bartlett or Eads to Germantown, complying with the Tennessee relocation statute may be necessary. So long as custody orders are in place, the moving parent needs to know when his or her activities could require notice to the other parent. Although we typically think of child relocation by the custodial parent, many Tennessee relocation cases involve the non-custodial parent’s relocation and its impact on parenting time, transportation expenses, and the best interests of the children. The legislative intent behind Tennessee’s parent relocation statute is, in great part, to prevent one parent from packing up and moving the child or children without the consent of the non-relocating parent and the court. The statute aims to keep the child’s best interests as the most important priority when determining whether relocation is appropriate. More specifically, when either parent intends to relocate more than 50 miles away or intends to relocate out-of-state, then the notice requirements of T.C.A. § 36-6-108(a) must be complied with. Be mindful that even the non-custodial parent with court-ordered parenting time must notify the non-moving custodial parent of the proposed relocation. Why? Because either parent’s moving away may affect the child’s relationship with the other parent and may affect the best interests of the child. Can you take a child out of the state without the father’s permission? What Is the Basic Relocation Notice Rule? If either parent intends to relocate more than 50 miles from where they currently reside, or intends to relocate outside the State of Tennessee, then written notice of that proposed move must be given to the other parent. Plan ahead. The statute requires that written notice be mailed at least 30 days before the actual move occurs. Should there be an emergency situation, the court may excuse a parent’s failure to fully comply with the notice requirement. But those occurrences are rare. Best to do everything possible to comply with the law. Once the non-relocating parent receives written notice of the proposed move, he or she has only 30 days to object. Thirty days may seem like ample time, but legal action should be swift. To protect the objecting parent’s rights, in most instances a petition must be filed with the court and a relocation hearing scheduled. In many instances, the non-relocating parent will object to the move and file a request to modify child custody. With notice received, the parents are in a position to negotiate – with assistance from their respective attorneys – a new parenting time schedule that reasonably accommodates everyone’s needs. (The statute refers to a “new visitation schedule,” but we are talking about parenting time as set forth in the permanent parenting plan.) Relocation mediation with an experienced family law mediator may also be very helpful in arriving at a revised visitation arrangement. Whether a deviation from the Tennessee Child Support Guidelines should be considered in light of all the factors including, without limitation, the additional costs incurred in transporting the child for parenting time. In relocation cases, details matter. The parent considering relocation should read our selection of cases in which parental relocation has been considered by the Tennessee appellate courts and either granted or denied. Studying the cases will reveal some important patterns. What if the relocating parent provides notice, but not 60 days notice as required by law? This would be a situation where the parent has given inadequate notice of the proposed move away. As the next case illustrates, relocation law is complicated. Talk to your lawyer. In the 2011 Tennessee case of Lima v. Lima, the mother gave the father only five-days written notice of her proposed relocation with the children to Las Vegas, Nevada. Her reason for the move was employment-related. Lima v. Lima, No. W2010-02027-COA-R3-CV (Tenn. Ct. App. 2011). The father argued, among other things, that he received inadequate notice of her proposed relocation. Yet the mother prevailed on appeal. The Tennessee Court of Appeals determined that the father was not prejudiced by the mother’s inadequate notice. Why? Three reasons, mainly. One, he was able to file his objection timely, before the mother left for Las Vegas with the children. Two, the trial court enjoined the mother from removing the children from Tennessee during the case. (Although the mother left the state, the injunction prohibited her from removing the children from Tennessee. Instead, the children remained with their father while the case was pending.) And three, the trial court’s decision came more than 60 days after the father received notice of the proposed relocation. After Lima, it seems that when inadequate notice is raised in the child relocation case, the issue becomes one of whether or not the non-moving parent was actually prejudiced. If the court determines that there was no actual prejudice to the non-relocating parent, then inadequate notice is unlikely to impact the outcome of the case. Even though the new law removes the legal issue of “reasonable purpose,” as previously defined, the purpose of the move is still a factor for the court’s consideration. It may be helpful for parties and counsel to consider prior Tennessee which cases have determined under what circumstances moves are done for a “reasonable purpose.” Exactly how this new law impacts that analysis will be interesting to discover moving forward. Many reasons for relocating will be found reasonable. Under the old law, the parent objecting to removal of the child had the burden of proving that there is no reasonable purpose for the relocation. See Redmon v. Redmon, No. W2013-01017-COA-CV (Tenn. Ct. App. 2014). What is a reasonable purpose for relocation? In Rudd v. Gonzalez, under the old law, the Tennessee Court of Appeals held that job retraining is a reasonable purpose for the custodial parent’s relocation with the children. Citing an earlier case, the court noted that for the relocation to be reasonable under Tennessee law, the purpose of the move should be “substantial when weighted against the gravity of the loss of the non-custodial parent’s ability ‘to participate fully in their children’s lives in a more meaningful way.’ ” Rudd v. Gonzalez, No. M2012—02714-COA-R3-CV (Tenn. Ct. App. 2014). What about moving to live with a new spouse? In Thorneloe v. Osborne, under the old law, the appellate court held that the mother’s proposed move to Wisconsin to live with her new husband is not, in and of itself, a reasonable purpose for relocating the children. Thorneloe v. Osborne, No. E2012-02004-COA-R3-CV (Tenn. Ct. App. 2013). Lastly, under the old law, in the move-away case of Carman v. Carman, the children’s mother wanted to relocate with the children to Canada to reside with her new husband. 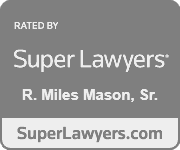 The Tennessee appellate court held that, although it was certainly reasonable for the mother to want to be with her new spouse, it is not always reasonable for the children to be relocated away from their father. This case involved a move of approximately 2,700 miles, a great distance from Tennessee. How does the court balance the equities between mother and father in these cases? In Carman, the “Mother’s desire to live with [her husband in Canada] must be ‘weighed against the gravity of loss’ of Father’s ability to ‘participate fully’ in the lives of his seven minor children ‘in a more meaningful way.’” Carman v. Carman, No. M2011-01265-COA-R3-CV (Tenn. Ct. App. 2012). In a relocation hearing or trial, a parent may seek to introduce expert witness testimony for or against moving away with the child. An independent child custody evaluator, for example, may testify as to the potential psychological impact of relocation on the child. Expert testimony can be very compelling, especially when the objecting parent alleged “specific and serious” harm to the child should relocation be permitted. The new law removed the legal question of what is a vindictive motive for relocation, which was often raised by the objecting parent. This allegation may still survive and be sought to be proven by a parent objecting to relocation. A vindictive motive is one aimed at intentionally deterring or defeating the other parent’s visitation rights. What is not a vindictive motive was clarified in the Rudd v. Gonzalez case, decided under the old law cited previously. In Rudd, the mother had filed a tort lawsuit against the children’s father. On appeal in the move-away case, the appellate court affirmed the trial court’s holding that the mother’s separate tort lawsuit against the father was not relevant as evidence of vindictive motive for purposes of Tennessee relocation law. Generally, a court may be unlikely to conclude that the relocating parent has a vindictive motive if a legitimate basis is offered as the reason for relocating. Under the old law, if relocation is permitted and the objecting parent files a timely appeal, then the prevailing party may still relocate with the child while that appeal is pending. See Goddard v. Goddard, No. E2011-00777-COA-R3-CV (Tenn. Ct. App. 2012). When relocation is allowed – whether more than 50 miles away or out-of-state –then the first cost matter for the court to consider is whether the child support order should be modified. Once the court approves the PRP’s relocation with the child, it must then examine any additional costs placed on the non-moving parent in order for him or her to spend parenting time with the child. Any child support modification means a change (increase or decrease) in the monthly amount the ARP is ordered to pay. Who will pay the increased expenses associated with the ARP’s exercise of parenting time after relocation? The court should assess the costs of visitation and may deviate from the Tennessee Child Support Guidelines to allow the ARP to maintain a meaningful parent-child relationship through visitation. T.C.A. § 36-6-108(f). Consider this example: If the mother relocates with the child, then she may be ordered to cover the father’s increased parenting time expenses. That is what happened in Dahl v. Young where the mother was ordered to cover much of the father’s “cost of exercising visitation” as a condition of relocation. Dahl v. Young, No. M2013-02854-COA-R3-CV (Tenn. Ct. App. 2015). In a relocation case, either parent may seek to recover his or her reasonable attorneys’ fees, along with other litigation expenses. Any such award of attorneys’ fees, however, is discretionary with the judge. T.C.A. § 36-6-108(i). 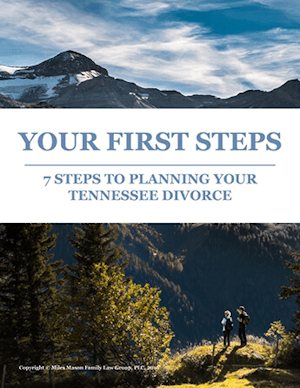 Many parents are under the mistaken belief that if their divorce was final before Tennessee’s parent relocation statute became law, it must not apply to them. That is not so. The Court of Appeals held in the case of Caudill v. Foley that the relocation statute does indeed apply retroactively to custody orders issued before the statute became law. Furthermore, the relocation statute applies retroactively even in cases where the parents had a Marital Dissolution Agreement and were divorced before the statute was enacted. Caudill v. Foley, 21 S.W.3d 203 (Tenn. Ct. App. 1999). Tennessee’s parent relocation statute only applies to post-divorce relocation or post-custody case relocation. In other words, there must be an existing parenting plan, an existing child custody order, in place before one parent’s proposed move-away triggers the relocation statute. The rule is fairly simple. The relocation statute only applies after the divorce is final and after custody orders have been entered. See Nasgovitz v. Nasgovitz, No. M2010-02606-COA-R3-CV (Tenn. Ct. App. 2012). All of the situations raised with parent relocation present complicated legal challenges. They also make parenting more difficult. Whatever the outcome of the legal issues in your relocation case, always remember that children do better when their parents work together to make the best of an otherwise bad situation.